A ring head distribution point complete with its finial (the pointed thing on the top) are quite a rarity nowadays. 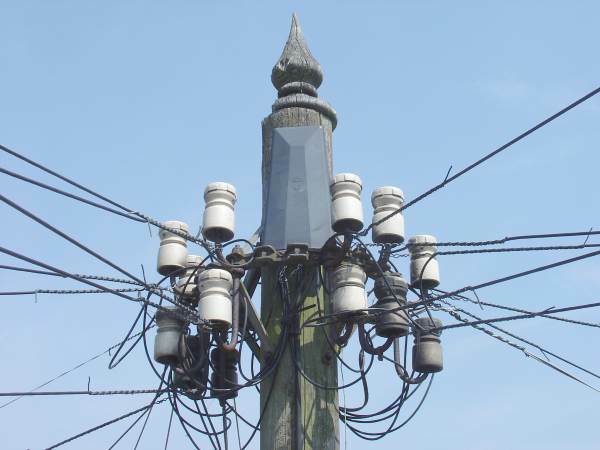 I am most grateful to Phil Hallam for supplying these photographs of a 1957 pole near to his home. 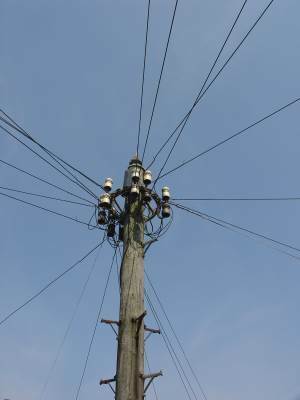 The insulators would have originally carried open copper wires, before they were brought up to modern standards and replaced by dropwires.